After losing for only the second time this season and seeing their lead at the top of the table narrow to only two points last week, Strømsgodset got back to winning ways this weekend with a 3-1 victory over Tromsø at home at Marienlyst Stadion. Thomas Kind Bendiksen put the visitors ahead after 21 minutes but a Lars Vilsvik penalty drew Strømsgodset level just 10 minutes later. The scores stayed equal until Abdisalam Ibrahim put the hosts ahead for the first time in the game shortly before the hour mark, and Ghanaian teenager Bismark Adjei-Boateng wrapped up an important win with his fourth goal of the season six minutes before the end. Rosenborg’s inability to beat Viking on Sunday evening, with the sides forced to share the points after a hard-fought clash ended goalless in Stavanger, means that Strømsgodset end the week four points ahead of arguably their biggest threat currently, as the top two begin to slowly but surely pull away from the rest of the field. Third-place Aalesund, fourth-place Brann, and fifth-place Viking are all tied on 24 points after only Brann were able to win this weekend, mercilessly thrashing bottom-of-the-table Sandnes Ulf 6-1 on Saturday afternoon to continue their fantastic home form. Teenage sensation Bård Finne scored a hat trick in just 24 minutes to add to Martin Pusic’s fifth-minute opener, giving them a 4-0 lead going into the break, and Birkir Mar Sævarsson extended their lead to five when he scored six minutes after the restart. Sandnes Ulf pulled one back with little over quarter-of-an-hour left to play when Markus Jonsson put the ball into the back of his own net, but Amin Askar reestablished Tromsø’s five goal lead and made it 6-1 with just three minutes left to play. Aalesund were only able to draw 2-2 with Start, meaning that they now sit ahead of Brann only on goal difference. Goals from Fredrik Ulvestad and Peter Orry Larsen gave them a 2-0 lead going into the half time break, but Start, who have not won a league game since their narrow 1-0 victory over Odd in mid-May, fought back and forced a sharing of the points with two goals in quick succession, starting shortly after the start of the second half with Ernest Asante’s second goal in as many games and ending with Matthías Vilhjálmsson’s fourth goal of the season 12 minutes later. Despite the impressive comeback, Start end the weekend in the relegation zone after Molde won for only the third time this season, and the second time in their last three league games. After going 1-0 down shortly before the half-hour mark through French defender Jérémy Berthod, Martin Linnes equalised for the reigning champions on the stroke of half time, and two goals in the second half from Daniel Chima and Zlatko Tripić helped Molde to a vital victory, which sees them move up to 14th place, equal on points with Start but considerably ahead on goal difference. Meanwhile, Odd leapfrogged both Start and Lillestrøm thanks to their more-than-comfortable 4-0 win at home against seventh-place Haugesund, who have now lost three times in their last five league games. After a goalless first half, Håvard Storbæk put the hosts ahead just a minute into the second period, before Herolind Shala doubled their lead 13 minutes later, shortly after Haugesund were reduced to 10 men after Ugonna Anyora was shown a straight red card for a reckless high challenge on the aforementioned Shala. Frode Johnsen made it 3-0 with just 10 minutes left to play, before George Agwuocha made it 4-0 moments before the final whistle blew to give Odd their biggest league win since their 4-0 win at home against Hønefoss last October (in which Agwuocha also scored the fourth goal in the dying moments of the match). Odd move up to 12th place, equal on points with both 11th place Hønefoss and 13th place Lillestrøm, but just one point ahead of both Molde and Start. Hønefoss were forced to share the points for the third time in their last five league games when they drew 1-1 with Sogndal at Fosshaugane Campus on Saturday evening, whilst Lillestrøm were handed their third defeat in the same number of games when Vålerenga beat them 1-0 away from home, thanks to a 56th minute goal from Costa Rican international Geancarlo González. 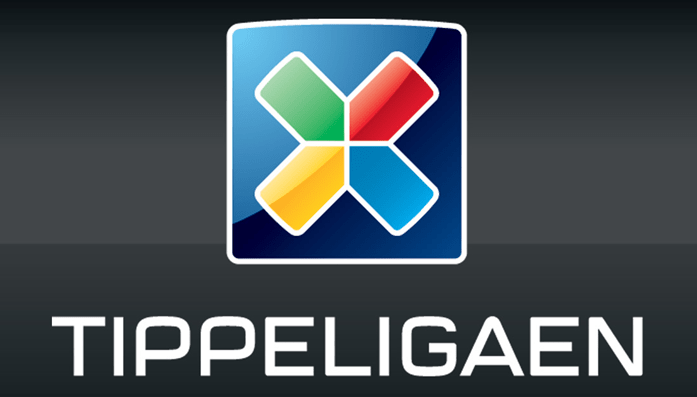 The win, their fifth of the season, means that Vålerenga move up to ninth place with 17 points, equal with 10th place Sarpsborg 08 and two points behind eighth-place Tromsø.